Exceptional product ideas, advanced technology and first class quality: these are the pillars MOSER has built on for over 70 years. 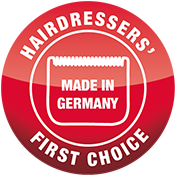 MOSER products are hairdressers’ number one choice all over the world. Thanks to this professional heritage, consumers at home benefit from MOSER’s quality and technical know-how. ...our diamond-ground bladesets cut better and stay sharp longer than competitor’s stamped bladesets? 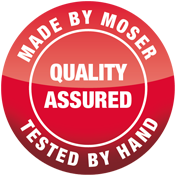 ...MOSER products are manufactured in our own factories, and are tested by hand by one of our Quality Control employees before leaving the factory? ...technologies such as our advanced precision-grinding technology and advanced Lithium Ion+ Technology make MOSER products hairdressers' number one choice all over the world? Since 1946, our company’s experts are designing a powerful line of clippers, trimmers and personal care products, all masterfully crafted to make you look feel best. Located in Unterkirnach, in the German Black Forest, MOSER's manufacturing plant is well established thanks to its superior blade technology, innovative product development and high quality production facilities. Kuno Moser GmbH (originally founded as Wolfgang Blessing KG in 1938) is founded in Unterkirnach, Germany by engineer Kuno Moser. In that post-war winter, he repaired the production barracks and was soon able to produce rotary parts again. And after that also micrometers, vaporizers, lighters and other much needed small parts. While the number of employees grew and focused on electric shavers and hair clippers, MOSER had found its recipe for success. After having developed an electric shaver in 1956, the company moved to Roggenbachweg in 1957. Here, the first hair clippers were developed and manufactured in 1958. This first model was called “Famos” which is an abbreviation of “Firma Moser”. An historical beginning: MOSER begins development of the famous MOSER 1400 - the model that withstood the test of time and is sold all over the world to this day. The MOSER 1400 has found its way to consumers and professionals alike over 30 million times, and counting. The company founder retires and the company is taken over by the Ebner Family. At this point MOSER employs 150 people. After having built a new factory at the edge of the city in 1981, the production barracks of the founding days were torn down. After the boom years of the 1970s and 1980s MOSER expands beyond the Black Forest and opens a new production facility in Mosonmagyarovar, Hungary. As the company continued to grow MOSER was acquired by the American Wahl Clipper Corporation and merged with the globally leading manufacturer of hair clippers. 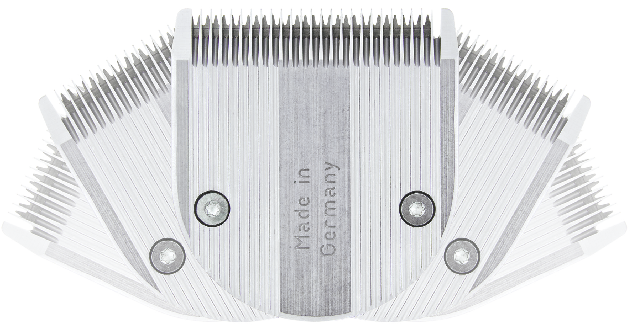 Wahl Clipper Corporation was founded by Leo Wahl and built on the invention of the first practical electromagnetic clipper in 1919. To celebrate 70 years of European craftsmanship by MOSER, the brand has undergone a significant transformation in 2015. It has been gifted with an all improved packaging range that was developed to emphasize the premium quality of its products. The new packagings are not only conveying the same premium quality but are also reinforcing MOSER’s strong European heritage and its superior technology. A powerful line of clippers, trimmers and personal care products. Tested for quality and precision, we promise you unparalleled results!